Gauteng Education MEC Panyaza Lesufi says he wants to ensure that the pupils who have been violated at Parktown Boys High School feel comfortable speaking out about the incidents before a disciplinary committee. Lesufi visited the school yesterday to investigate claims of assault and racism. Last year the school came into the spotlight when a water polo coach who has since resigned was accused of sexually assaulting at least 20 pupils. A total of six teachers have been accused of various acts of misconduct including assault and racism. Lesufi says he’s aware of parents refusing to have their children testifyagainst the teachers out of fear of further victimisation. JOHANNESBURG – The public sector strike, which is expected to affect courts, and the South African Social Security Agency (Sassa) will go ahead as planned on Monday, the Public Servants Association (PSA) said. PSA deputy general manager, Tahir Maepa said the strike at Sassa will begin due to unresolved issues. The union is demanding a 12 percent salary hike while the Public Service and Administration Minister Ayanda Dlodlo is offering seven percent. 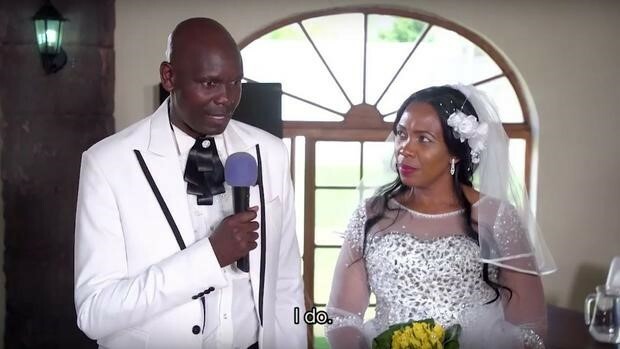 The latest Our Perfect Wedding tells a tale of forgiveness between Vera Hlatshwayo, 45, and Musa Mayisela, 46, from Protea Glen, Soweto. The couple met in 1998 at a mutual friend’s funeral. Her first impression of him was that of a smoker and drinker, something she was not particularly looking for in a guy. At the time, Vera was living Mpumalanga and Musa would drive all the way to see her (or not) but that didn’t deter him. After a year of pursuit, she showed interest and they now share three sons together. In 2006, the couple broke up when Musa decided to start a new relationship with another woman. But things didn’t last there and he had to come back home. “I always loved Vera, said Musa. “The reason why I forgave him is because I asked God for a man like him and I have always loved him,” said the Vera. There were attempts of getting married in the past but things like money going missing messed up those plans. OPW was invited for the couple to showcase their love for each other. “To also show other women that we must build our homes, even in hard times,” said Vera. The excited groom could not hold it in as he literally danced all the time. After two decades, Vera finally wore a white dress — with a lot of bling — which brought tears to her eyes. “When you tell someone you forgive, you close that chapter (and) you move to the next chapter,” said Vera. Her bridesmaid’s wore lemon dresses, while the groom wore a black pants and a white jacket suit. His groomsmen wore vintage styles suits, checked jackets, blue pants matching with the waistcoats. The reception venue was decorated in lemon, blue and white, and accommodated 200 people. The day was reserved purely for the white wedding as the traditional ceremony took place on the Friday before, where the gift ceremony happened. “She was beautiful when she walked thought the door. I didn’t even know she had a veil,” said Musa in between giggles. After their wedding vows, the rings placed the couple moved onto taking photos and then off to theirs reception area. All in all, after 20 years the couple agreed that this was their perfect wedding. The dress, designed by Clare Waight Keller, was free of extravagant embellishments. It was not covered in yards of delicate lace. It did not have a single ruffle – no pearls or crystals. Its beauty was in its architectural lines and its confident restraint. It was a romantic dress, but one that suggested a clear-eyed understanding that a real-life romance is not the stuff of fairy tales. The dress was a backdrop; it was in service to the woman. The woman. That’s what the dress emphasized. Not bridal whimsy. Not princess tropes. Not royal pomp.LONDON: The dress isn’t everything but it is a lot. 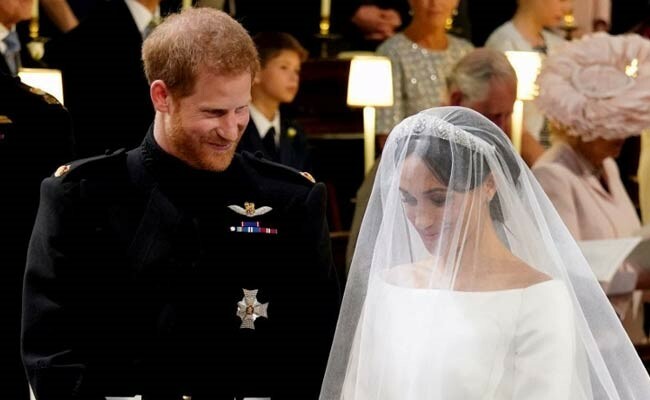 And the Givenchy haute couture gown chosen by Meghan Markle for her marriage to Prince Harry told a story about contemporary romance, geopolitical history and the institution into which she has married. But mostly, most importantly, it offered a bit of insight into the bride herself.